We will endeavour to ensure that www.musicweek.com is available 24 hours per day without any interruptions. However, we reserve the right to make www.musicweek.com unavailable at any time or to restrict access to parts or all of www.musicweek.com without notice.www.musicweek.com is a general information service. 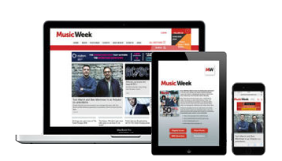 We will endeavour not to make it misleading, but we cannot represent that the information accessible on or via www.musicweek.com is accurate, not-misleading, complete or up to date. www.musicweek.com includes links to other internet sites. Without limiting what we say elsewhere, we make no representations or warranties about those sites or their content, nor that the links work. Details of our linking arrangements may be obtained from www.musicweek.com. www.musicweek.com, its style and structure, and the materials and information on www.musicweek.com are protected by copyright and other intellectual property rights, and may not be used by you except as expressly provided in this User Agreement. The authors of the documents in www.musicweek.com assert their moral rights. www.musicweek.com is a registered trade mark of NewBay Media. Since a substantial part of www.musicweek.com is both free and available to all, it is a condition that your use of www.musicweek.com is at your own risk. We shall not be liable to you or in breach of this User Agreement for any delay or failure to perform any obligation if the delay or failure is due to a cause beyond our reasonable control including, without limitation, the blocking or restricting of information to and/or from our network. Save as provided below, we disclaim all and will not be liable in contract, tort (including, without limitation, negligence) or otherwise arising in connection with this User Agreement or the www.musicweek.com for: (i) consequential, indirect or special loss or damage; or (ii) any loss of goodwill or reputation; or (iii) any economic losses (including loss of revenues, profits, contracts, business or anticipated savings), in each case, even if we have been advised of the possibility of such loss or damage and howsoever incurred. 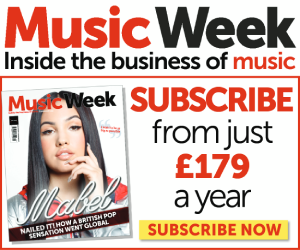 Our maximum liability to you in contract, tort (including, without limitation, negligence) or otherwise arising in connection with this User Agreement or the www.musicweek.comshall be limited to £50. Notwithstanding any other provision of this User Agreement, we will be liable to you without limit for any death or personal injury caused by our negligence and to the extent that liability arises under Part 1 or section 41 of the Consumer Protection Act 1987 and for liability arising from statements made fraudulently by us. If you believe that your intellectual property or other rights are being infringed by the www.musicweek.com, or if you are dissatisfied with www.musicweek.com or any aspect of our service, in the first instance please contact musicweek@nbmedia.com or +44 (0)207 354 6004.